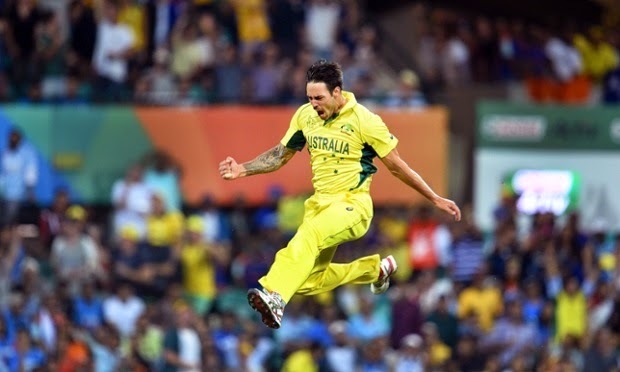 Australia and South Africa are old rivals in a variety of areas of which sport is usually the most contentious. As I wrote this, Australia beat India to take a cricket world cup final spot against New Zealand, who squeaked past South Africa in the semifinal thus denying a dream South Africa vs Australia final. Oh well, next time. Another area where South Africa and Australia competed – but ended up on the same side – was to host the SKA – the square kilometer array. This is intended to be the world’s largest, fastest, highest resolution radio telescope - roughly 50 times more powerful and 10,000 faster than any radio telescope today. You might imagine that the most interesting telescope would be one that could see light from furthest away, but you’d be wrong. Astronomers obtain the most resolution from the radio wave part of the electromagnetic spectrum and they are hoping to see very far away which means very long ago in time. So long ago that it would be back to the earliest times of the universe, just a few hundred thousand years after the big bang. This month the central steering committee for the project gave the green light to the detailed plans. The SKA is going ahead. At least as long as the money doesn’t run out. Both South Africa and Australia put in bids for the whole project, but the final decision in 2012 - to share the project between the two countries - takes the strengths of both offerings. Different types of receivers are required in any case to span the very broad range of frequencies required. Other countries - including Botswana - also have a part to play. Mid frequency array - for a lonely spot in Botswana maybe? What one needs for this type of initiative is somewhere as far away from man-made radio sources as possible. The Northern Cape desert and the western Australian one qualify well. Next it’s good if the site is as high and dry as possible – the atmosphere absorbs radio signals and the damper it is the worse the absorption. Good for those desert locations again. Then one needs computer power. Finally one needs money. A lot of money. 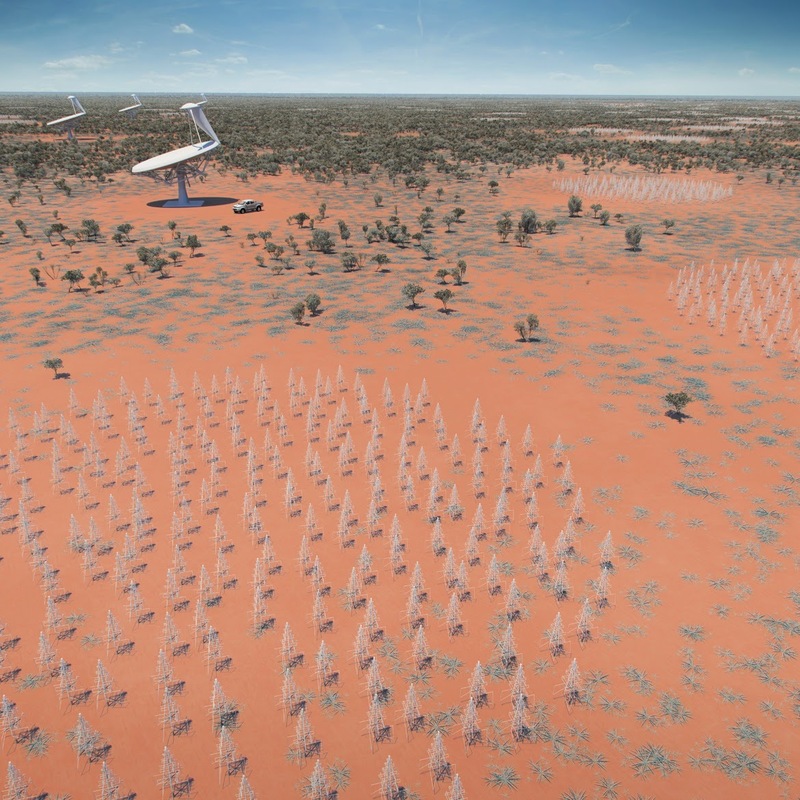 The science projects on the SKA’s agenda include extreme tests of Einstein’s theory of general relativity, understanding the development of galaxies starting close to their earliest formation, studying dark matter, dark energy, and cosmic magnetism. And, oh yes, we may pick up a few messages from extraterrestrials along the way there somewhere as well. 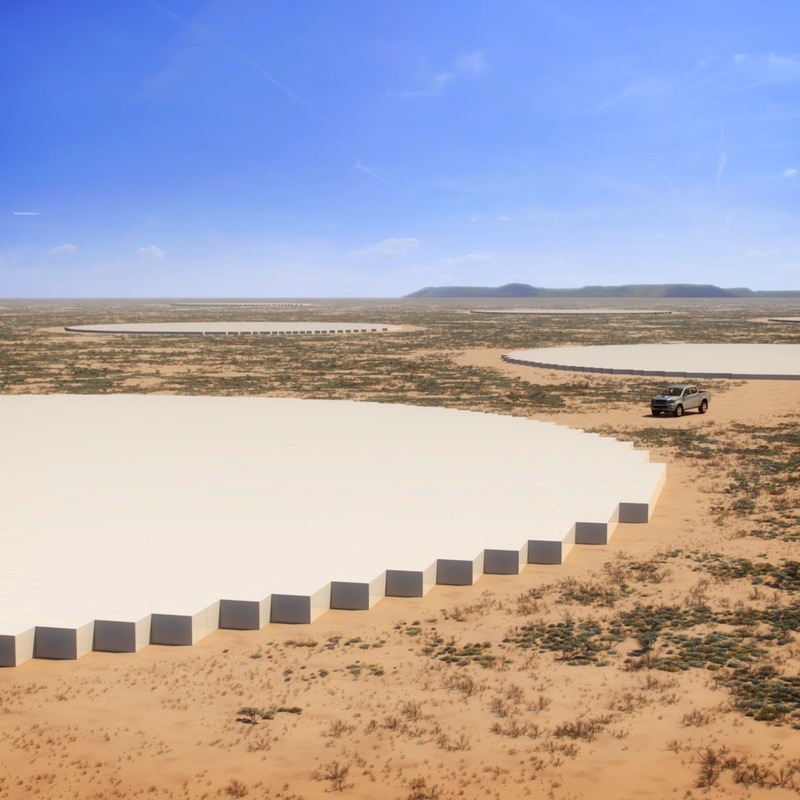 South Africa’s prototype was called the Karroo Array Telescope (KAT) and a seven instrument cluster was built as a demonstrator for the South African proposal. 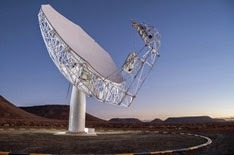 The first phase of the South African part of the SKA project will be to extend KAT to 64 instruments. 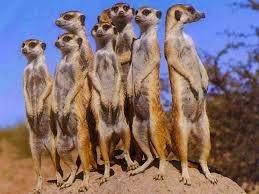 The larger array will be renamed MeerKAT. Meer means more in Afrikaans so that's appropriate. But Meerkat is also the name of a charming species of mongoose (scientific name Suricata suricatta), which gets up inquisitively on its hind legs to look around and see what’s going on. Seems like MeerKAT is a pretty good name. What an amazing looking project the SKA is. I can't wait to see the images it produces. Yes, Zoe, I gather "Meercat Manor" is a popular show also! But the creatures are very entrancing. Everett, I'm with you. I think even 100 years would be pretty interesting! The photos could be paintings by Dali! I thought EvKa already had lived close to a 1000 years? And as for the welcoming chorus line you've arrayed out there to entice extra-terrestrial communication, I wonder if the first words we might now hear from deep, dark, space might be, "Oy vey ist Meer."